Friday Wrap-Up – News from Off Grid Ales, Tide & Boar, Tatamagouche, Good Robot, North Brewing, Battery Park, and much more! • Harvey, New Brunswick’s very first brewery, Off Grid Ales, is releasing their first beers today! 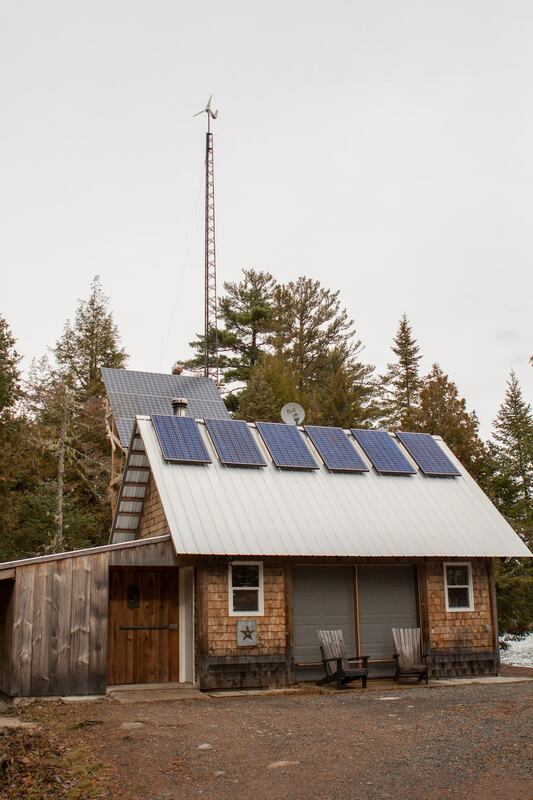 The 3 BBL (350 L) brewery is housed in a barn on the property of owners Randy and Denise Rowe, and is both solar- and wind-powered. All four of their flagship beers will be available in 500 mL bottles at the Harvey ANBL outlet, and all four Fredericton ANBL stores; these beers are Campfire Red, an American Amber (5.5% ABV, 23 IBUs); Sunny Day IPA (5.5% ABV, 70 IBUs); High Tower Double IPA (7.8% ABV, 60 IBUs); and Unplugged Porter (5.5% ABV, 34 IBUs). The official launch party will be happening soon, so stay tuned for details! And check out our full post on Off Grid from October. • The brewery at Moncton’s Tide & Boar is hard at it again, with several new/returning beers now out, or arriving soon! Released earlier this week was the next beer in their Sour Otis series – Sour Otis Cranberry features the addition of 25 lbs of locally-sourced cranberries, resulting in a sour, refreshing, super-sessionable (4.2% ABV) brew. Also look for the return of Forum, their 5.4% ABV, heavily-hopped American Pale Ale that’s big on tropical fruit aromas and flavours. T&B is kegging a new American IPA this weekend, Robot Food IPA, brewed with an “insane amount” of Citra, Mosaic, and Simcoe hops. Finally, yet another new beer should be ready for release next week – Peach Ale Shake is the next addition to their Milkshake IPA lineup. It was brewed with lactose powder to slightly boost the body and sweetness, heavily hopped (of course), and also features the addition of 20 lbs of peaches. As with all the T&B beers brewed on site, they tend to go fast, so be sure to stop by to give them a try! • There’s a couple of hot news items concerning Tatamagouche Brewing this week. First up is a brand new beer that is being released tomorrow, Adoptor, their take on the Doppelbock style. Named after two adopted dogs in the Tata family, the beer’s grist is made up entirely of German malts, to emulate this strong, malty, German style. A mix of Munich and Vienna make up the majority, with small amounts of CaraAroma and CaraMunich, to enhance the malty goodness in the aroma and flavour. This is another big beer for Tatabrew, as is per the style, clocking in at 7.6% ABV and a low 24 IBUs. It’ll be making its debut in 650 mL bottles at the brewery, with $0.50 from every bottle sold being donated to the Home to Stay animal shelter; expect a few kegs to pop up at select licensees at a later date. And their other recent release, Square One, a dry-hopped Saison, is now available in bottles at the brewery as well. • And continuing on with Tatabrew… great news, New Brunswick – kegs of Tata beer are heading your way! Along with their core brands, some establishments have also ordered some seasonals/one-offs, including Blue Bales, Philaroma, Square One, Cellar Slammer, and Russian Imperial Stout. Look for Tatamagouche beers at the following licensees: Tide & Boar, Ducky’s, Saint John Ale House, King Street Ale House, Maybee Brewing, and Pepper’s. Hopefully this means we’ll be seeing cans in the province soon…? • There is was a brand-spanking new BetaBrew on tap at the Good Robot taproom; this one was brewed by the brewery’s own Kelly & Jillian. The Ales of Friendship is was a 5.2% ABV British Pale Ale brewed with Maris Otter, Red Wheat, Vienna, and Caramel malts, and features featured the addition of honey and basil from Jillian’s family farm. Hopped with Perle and fermented with a British Ale yeast strain, the beer is described as a well-balanced beer, with a “nice sweetness which isn’t overpowering”, the basil is just present enough so you know it’s there… but aren’t overwhelmed. Unfortunately, GR informed us this morning the beer is already gone, but I’m not about to throw away this beautifully-written post on it! • Oh, but Good Robot sent us the info on another new beer they’re releasing (thanks? ), Dave & Morley, a “Coffee Brown”. Brewed with Pale, Victory, Franco-Belges Kiln Coffee, and Munich Dark malts, as well as some Flaked Oats, and hopped with Magnum and Willamette. A portion of Rwanda Gisuma cold-brewed coffee (from local Bottleneck Coffee) was also added (20 L in a ~2300 L batch), resulting in a wonderful blend of “toast, caramel, and chocolate, with an herbal and coffee finish”. The coffee in particular adds a fruity character, according to the brewery, as well as waffleberries. Look for this 6.3% ABV, 19 IBUs brew to debut early next week. • Next, you’ll find a brand new collaboration between North and Benjamin Bridge. Hinted at back in October by those in the know, Saison de Pinot is a mixed-fermentation beer that leverages 300 litres of must from BB’s pinot noir grapes. This must (sans skins to avoid unpredictable tannin contributions) was added to the beer when fermentation was almost complete, but after it was moved off the lees, giving the brewers maximum control over the blend. The complex inoculation included two Saison strains, with one being a wild isolate, along with a Lacto strain and, if it’s not too much to hope for, possibly some wild critters from the grape must. It comes in at 6.4% ABV and the tasting notes suggest red berry, light rose and hay with a vinous character and a tart dry finish to complement its effervescence. It was bottle conditioned and we’re told it should cellar well, so don’t be afraid to get one for now and one or more for a year or two down the road. North themselves have filled a Benjamin Bridge wine barrel with part of the batch, which they’ll age further before bottling in preparation for Battery Park’s second birthday party in 2017! • And as if the beers themselves weren’t enough, North is also launching an entirely new look for their bottled offerings, the result of an ongoing project involving five local artists. Six brews will be seen in an entirely new light by early next week (four are in production now, the Farmhouse Red is on the way) with the new Artist Series of labels. Local painter and illustrator Julianne Harnish took on the Priority Pale and Headline Milk Stout. Graphic designer and artist Amy Corbett handled the Dark Sky Strong Dark and Midnight barrel-aged Strong Dark. Jillian Jackson of Jill & Jack Paper designed the new look for Gus’ 65m Ale that, for the observant, reveals shoutouts to many of the businesses in the area the North relies on. And Nicole G, who works in North’s bottle shop, but who is also a textile artist dabbling in watercolours and illustration, produced a new look for the Farmhouse Red Bière de Garde. Lastly, but not leastly, each label includes a short poem by 2011/12 Halifax Poet Laureate and artist/actor/musician/creator Tanya Davis. From now on, when you pick up a bottle of North beer, you’ll be picking up a piece of local art and culture. • Those of you in the Fredericton area, keep your eyes peeled for a new beer from local brewery Bogtrotter – they’ve just released a small amount of 1/2 Cracked Nut Brown. This rich, full-bodied ale has a “moderate, persisting head” and features a “sweet, nutty-caramel flavour, with a hint of vanilla”, thanks to the addition of sliced almonds, crushed hazelnuts, and real vanilla bean in the fermentor (take note, those of you with nut allergies!). Weighing in at a very-drinkable 5% ABV, you should be able to find this one on tap at the James Joyce and the Hilltop, and will follow in 500 mL bottles at the York St. and Oromocto ANBL stores within a few weeks. • For fans of Picaroons who have been missing out on all the one-off beer releases at their Saint John General Store lately, good news – they brewed a new beer at their main brewery in Fredericton, which was launched late last week. The Vinyl Cut Black IPA is described as “full-bodied, roasty and hoppy”, taking the approach of blending characteristics of both an American IPA and a Stout. Hopped with Cascade, Centennial, and Chinook, it comes in at 8% ABV and ~90 IBUs. It’s now pouring on tap at the Roundhouse, the Picaroons taproom located at their brewery location in Devon, which opened last Friday. Currently serving pints and counter-service munchies and coffee, they’re not filling growlers for the time being, but should be in the very near future. Look for The Vinyl Cut to be pouring at other local establishments as well, soon. • St. John’s YellowBelly Brewery has released the 2016 edition of their annual Mummer’s Brew beer. 2016’s release is an Imperial Oyster stout, an 8.5% ABV, 50 IBU brew perfect for those cold winter nights of mummering. The base malt is enhanced with Carastan, Roast, and Black Patent malts for a jet-black colour and lots of roast, with a significant bittering charge from Pacific Gem hops. Featuring local adjunct ingredients, including buckwheat honey from G&M Family Farm in Placentia and PEI oysters provided by The Adelaide Oyster House, the beer also features figs, raisins, dates and prunes soaked in Lamb’s Dark Navy Rum added late in the process. Grab the beer on tap at YellowBelly and Adelaide now, with bottles available at the brewery and local NLCs today. • Gahan House Halifax has a new beer on tap, a German hybrid lager/ale Altbier. The 6.0% ABV beer uses some specialty malts for bread-like character and light chocolate notes. The use of Tettnang hops impart their characteristic spicy Noble properties. Grab the Alt on tap or in growlers to go from Gahan today, and check out their line-up of other seasonals including the Tommy’s Chocolate Orange and Night Vision Porter. • Mahone Bay’s Saltbox Brewing has released a new beer with local iconic ingredients throughout. Balsam Blue is a 6.3% ABV lager, featuring the addition of Balsam to the brew, which shines through in both the flavour and aroma. Local blueberries were also added, imparting a light flavour finish to the beer. It is available on tap at the brewery for pints and takeaway (in a fliptop bottle), and can also be found on tap at Grand Banker in Lunenburg and 2 Downs Down in Halifax. And don’t forget to sign up for the Home Brewers Competition, as registration closes next Saturday. 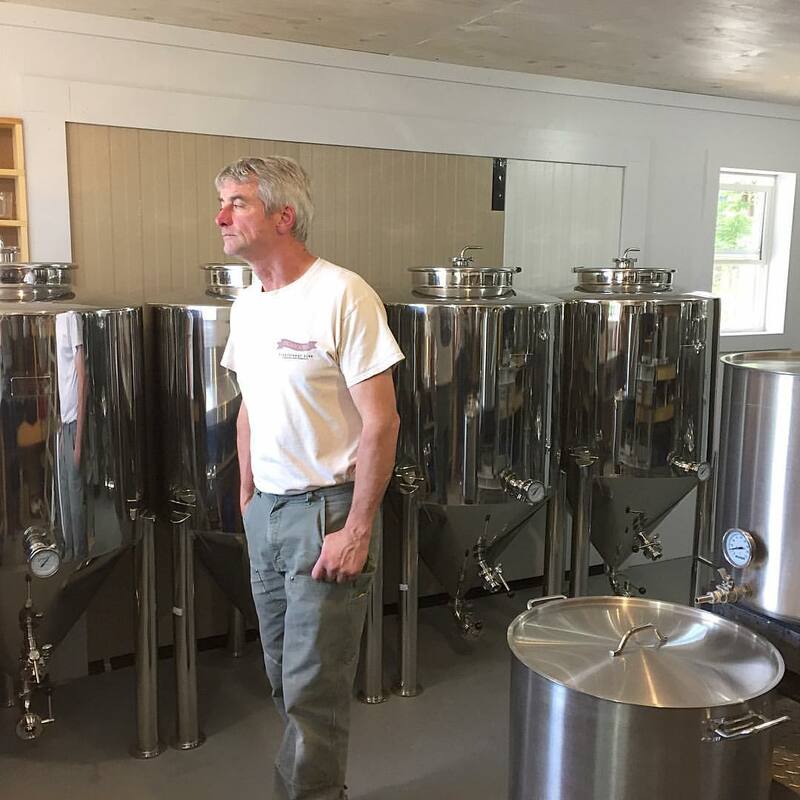 • Sober Island Brewing Company has been busy getting their expanded location at Sheet Harbour’s Henley House ready for the delivery of their DME 8 hl (7BBL) brewhouse in a couple of weeks. In the meantime, Henley House will be open Thursday-Sunday this week from 4pm, for a few more pints of Christmas cheer. Catch their Oyster Stout, Bitter, and Mild Ale on tap, and celebrate with Henley’s annual Christmas Tea, Sunday 2-4pm. You can also catch Sober Island at the New Glasgow Farmers Market Saturday 9:00 – 1:00, and the Musquodoboit Harbour Farmers Market Sunday 9:00 – 1:00. • Mill Street St. John’s has released a new seasonal this week, Downtownor Doppelbock. Originally brewed for monks to drink during fasting in lent (those tricky monks! ), Mill Street’s take on the Doppelbock style resulted in a hefty 7.7% ABV dark lager, which boasts sweet malty and dark fruit flavours, but finishes fairly dry. The lower 24 IBU bitterness means that several can be enjoyed in a session without burning your taste buds. Grab a pint or growler waterside today. • Bulwark Cider is releasing a brand new offering next week, Rum Cider. Their Traditional cider was blended with barrel-aged dark rum to boost the flavour and ABV to the next level. The rum makes its presence felt through spicing and light caramel notes, building on the bright cider base. The 8.8% ABV blend is in the NSLC warehouse now, and will be available at their retail locations next week. • Smiths Cove’s Lazy Bear saved some late-harvest local oranges from the cold this week, and are using them in a special small-batch brew today, which also features local wild hops and malt from Horton Ridge Malt. The yet-unnamed brew will be available in the New Year at their retail and Farmers’ Market locations, as well as select taps in the Valley and HRM. We’ve got yet another jam-packed weekend in the region. Be sure to check out our Calendar of Events Page for all of the scheduled events in our region, and if we’re missing anything, let us know! • The tiniest brewery in Halifax is launching this weekend with a pair of pouring parties. Tidehouse will be on tap at Bar Stillwell today from noon, featuring their four core beers (Like a Motorcyc-ale, The Copper, Mild Thing, Golden Glacier), as well as a house-special 5.25% India Saison. And they’ll be doing it all over again at Good Robot tomorrow from noon with the Core Four, and a Spruced Red Ale. Learn more about Tidehouse from our Q&A with them in the summer, and stay tuned for the launch of their retail space, which could be as early as next weekend. • While at Stillwell today, look for the return of Tideview Cider, with their Hyslop Crab Apple Cider. First introduced in March, the 7.2% ABV still cider will be served from the bartop, and features their own apples. • After plenty of teasing and anticipation, Saturday will mark the Maine Event Tap Takeover at Stillwell, featuring Bissell Brother Brewing and Orono Brewing each bringing 6 beers north to Halifax. From Bissell, expect to see Bucolia, LUX, Reciprocal, Substance, Swish, and Umbra, and OBC will be pouring Amorica, AOK, Dr. Quince, Ozone, Pocatello, and Van Life. Doors open at noon, and while no tickets are required, your $15 entrance fee includes a glass to keep and your first pour. The whole acbb gang will be there, so be sure to say hi! • There’s a new event being hosted by New Brunswick Beer Tours in the New Year – BEERexploration Downtown Fredericton, on Saturday, January 28th. This 3-1/2 hour walking tour (1:00-4:30 pm) will include stops at several of Fredericton’s best beer-drinking establishments, with a total of six local beers (8 oz each) being poured. The cost of this event is by donation only, with all proceeds going to the Canadian Diabetes Association. If you plan on attending, please register here and make your donation in advance; a tax receipt will follow. Remember, this is a walking tour in January, so dress accordingly! – Moncton’s Acadie-Broue has a new beer on tap at their Bar Le Coude location at Universite de Moncton, Kacho Kolsch. The German-influenced hybrid lager/ale is only available on tap, so drop by for a pint. – Breton Brewing has brought back their seasonal Storm Chaser Vanilla Stout, available on tap at the brewery for pints and growler fills, and in licensees shortly. – Shelburne’s Boxing Rock‘s U-889 Russian Imperial Stout is now available, with bottles at the brewery and hitting the shelves of the private stores shortly. Featuring coffee and vanilla, this is a perfect beer for sharing with friends around a cozy fire. – Petit-Sault has brewed up a fresh batch of their Canon Franchetti, a “Cappuccino Stout” (4.6% ABV, 25 IBUs) brewed with organic and fair trade coffee beans; look for its return sometime in January, with more details on distribution to follow, soon. – Red Rover‘s popular blueberry cider, Jingle Berry (7% ABV), is back just in time for the holidays; even better news, it’s now available at local ANBL stores in bottle form (750 mL). – River Valley Micro has a new beer, Rye Pale Ale, available exclusively on tap at the James Joyce Pub these days. At 6.1% ABV, it features light spicing from the aforementioned malt, and some citrus aromatics. – Speaking of James Joyce, they recently tapped a special collaboration braggot, Axius Clay. At 7.5% ABV, it features a mixture of Honey Ale and Queen’s Nectar from Big Axe Brewery and Sunset Heights Meadery, respectively. It carbonated naturally in the cask over the course of several weeks, and the experiment was a glowing success. Expect to see more collaborations from these Fredericton-region producers in the future. – And this evening at 6:00, JJ will be tapping the first casks of the Moosehead beers on the premises, including a Gingerbread Ale, and their popular Cask Ale, an English-style Bitter. We were sprout growers for 27 years; Denise is now a photographer and Randy a jack-of-all-trades. We have two grown daughters and three grandkids. Scott MacLean of THINK Brewing [ed: also opening in Harvey in the near future] got Randy interested in all-grain brewing. And we’ve always been Picaroons fans. The thought of self-employment really appealed to us, and a brewery was a business idea from the start. We’ve been homebrewers off and on for years, making the move to all-grain brewing about two years ago. Fingers are crossed for mid-November! What size/manufacturer/type of system will you be brewing on? We’re brewing on a Stout Tanks and Kettles 3 barrel (350 L) system, and expect 6 barrels (700 L) a week in terms of production. Can you tell us about the hurdles, and benefits, that brewing while off the grid entails? Why was it important for you to do so? In terms of hurdles, there are always power issues; we have to watch our consumption very closely, and be extremely efficient. On the benefits side, we get to live and work/brew on the side of a lake in a remote part of the picture province. We will be distributing 500 mL bottles to two ANBL outlets: Harvey, and York St. in Fredericton. We will also be on tap at two locations, the nearby Lougheed Pub (when it re-opens) and a popular Fredericton tap location. No onsite sales are planned for now. Our first beers will consist of four regular-releases; we hope to offer seasonals sometime next year. The flagships will be the following: Campfire Red, an American Amber (5.5% ABV, 23 IBUs) exhibiting red malty goodness; Sunny Day IPA (5.5% ABV, 70 IBUs), a nice, hoppy, everyday IPA; High Tower Double IPA (7.8% ABV, 60 IBUs), a smooth and hoppy IPA; and Unplugged Porter (5.5% ABV, 34 IBUs), exhibiting a smooth mix of chocolate, caramel and coffee malts. We hope to offer seasonals by next year. Scott MacLean of THINK Brewing has been most helpful with brewing and equipment sourcing, as well as introducing us to local brewers. We’ve met some pretty inspirational people along the way – a lot of local talents who are so enthusiastic about the growth in the craft beer market. Our designer Tanya Duffy of The Details Design in Fredericton has been awesome to work with and we love our labeling, it’s unique and fun. Producing great beers that people enjoy. By then, we’re hoping for a small increase in production (adding more fermentors), as well as adding seasonal beers every year. Denise: I’m big on Red Ales; Gahan Island Red is a personal favourite of mine. Randy: IPAs all the way! Picaroons Yippee IPA is a favourite. Our Double IPA, High Tower, is honey infused, and smells and tastes amazing. Unplugged, our Porter has such a rich flavour – coffee/chocolate and caramel – making it a great dessert – or even breakfast! – beer. Do you have a website, facebook, and/or twitter page? Our website will be ready upon launch; for now, we do have both Facebook and Twitter accounts active, where we have been providing updates on our progress for our followers. Thanks very much to both Randy and Denise for answering our questions! We look forward to trying their beers when they’re hopefully released next month. Stay tuned for updates, and of course following along Off Grid’s social media accounts for the latest info.